The newest issue of VeryNearlyAlmost is set to drop later this week with a launch party in central London. Issue 11 will include features on Insa, Mike Giant, Gia and Case as well as the latest photos of streetart, graffiti and tags from the streets of East London. The launch party at the 55DSL Gallery will feature an instalation by street artists The Toasters, as well as artwork from Insa and music on the night provided by the Legion of Boom! The launch night will also see the VNA team selling a 100 ltd edition versions of VNA 11 with a screenprinted Insa cover (Signed by Insa) in a pack consisting of VNA x Insa Stickers and a very limited edition Insa Lighter! Drinks, music and arty stuff see ye there. 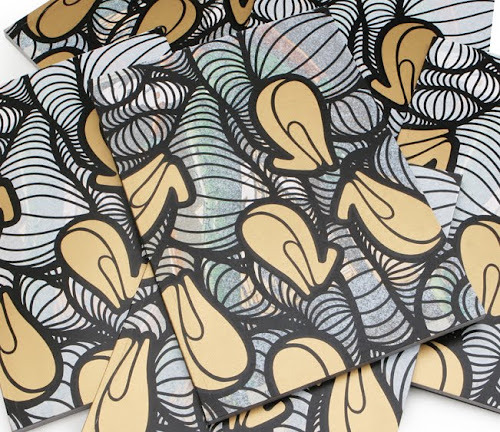 VNA has released an image of the finished limited edition screenprinted Insa cover. There are only 100 of these and they will be available tonight the 15 April at the launch party.